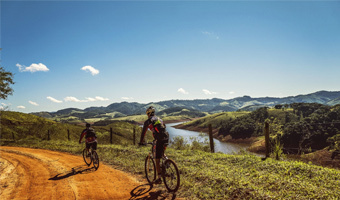 Before buying a mountain bike, you should assess its many features, perks, drawbacks, and basic maintenance requirements. From our Genesis V2100 mountain bike review, you will learn more about this MTB like its main advantages and even the downsides that may make it a questionable purchase. By the time you have finished our review, you will know for sure if this model is right for you or if you should just take a hard pass on it. The Genesis V2100 is designed as a great choice not only for beginners but for skilled bikers as well. It was made of a variety of low-cost materials to keep costs down. 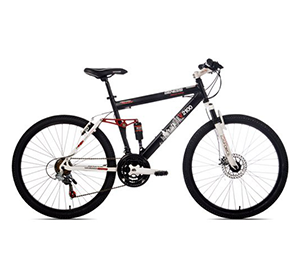 In fact, it is considered one of the most affordable mountain bikes in its class. 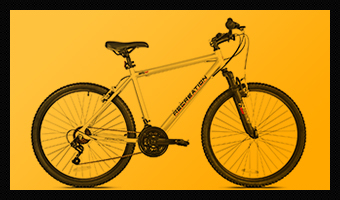 If this bike is your first mountain bike, it is also essential to understand the various elements of its shifting system and what separates it from other bikes. For example, typically gear shifters are placed on the handlebars of a bike and allow you to change both the front and rear gears. Lower gears offer a smoother way to climb hills while higher gears increase speed exponentially. 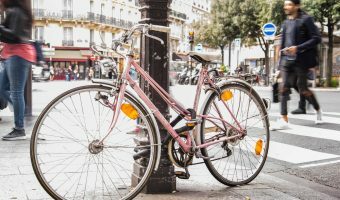 Just as importantly, you need to know how to remove and replace the bike seat if you find the original one uncomfortable. It isn’t uncommon for some users to find a basic bike seat hard to tolerate. This fact is particularly true for the Genesis V2100. Thankfully, it is pretty easy to remove the seat by unlocking it at the base and pulling it out. 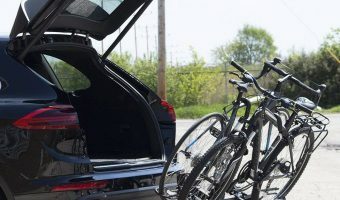 Other elements are also essential to consider here, such as the size of a bike’s wheels and how well the brakes operate. While going off-road with the Genesis V2100, you shouldn’t do it at high speeds. But you will still need great brakes to avoid falling or having an accident. Customers who purchased this bike have reported that it’s reliable and above expectations despite its low price; however, some have noted that they needed to replace the pedals, seat, rear shock, or fork at some point or that the handlebars may get loose while riding, which is a major safety hazard. Regularly scrub this mountain bike’s frame with a cleaning solution, like Simple Green, and a sponge. Clean hard-to-reach areas and remove any stains as they appear. Rinse off the cleaning solution with cool water and dry the surface with a hand towel. Check the brakes to ensure that they work properly and can stop the bike on a dime. Replace brake pads, if necessary, to avoid accidents. Tighten your brakes with a screwdriver, if needed, to keep them working smoothly. Ensure a straight positioning of your wheels and tires, as needed. Tighten the chains to ensure that they don’t slip off of your wheels while you’re on the bike. Check the pedals, chain, derailleur, and the teeth of your gears to ensure that they are lubricated and operating properly. Add lubricant to your chains, if needed, to keep them running smoothly. Fill the tires with air if they are running low or replace them or the tubes if they keep deflating. Inspect the bike cables to ensure that they aren’t damaged. Replace any cables that have spots on the surface that expose the metal inside. 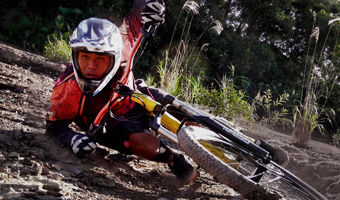 Get a better understanding of the quality of Genesis V2100 mountain bike from this simple review video. The insights in this video are well worth considering, as they give you a more three-dimensional view of the model and a brief look at how it operates in the real world. Now at the end of our Genesis V2100 mountain bike review, we hope that you better understand its many features, perks, and drawbacks. We think that it is a model well worth considering by just about anybody who wants a budget-friendly, entry-level mountain bike. If you have any thoughts on this bike or real experience with it, please don’t hesitate to drop us a line below!